A root-like, usually horizontal stem growing under or along the ground that sends out roots from its lower surface and leaves or shoots from its upper surface. 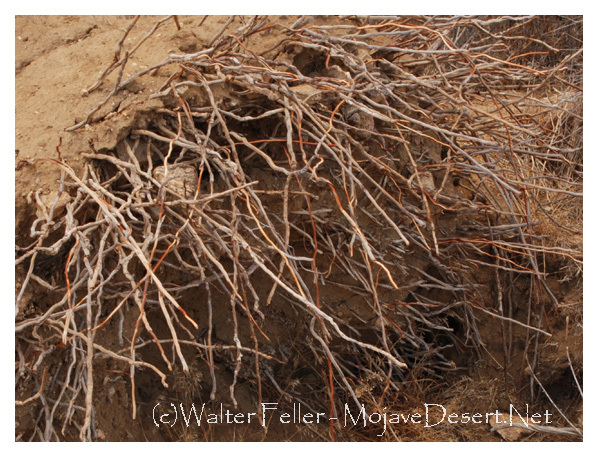 This overturned Joshua tree clearly shows its rhizomes. ... mostly 2.3 to 3.3 feet (7-10 dm) above ground, more compact. var. herbertii - many stems forming clumps up to 33 feet (10 m) in diameter, long rhizomes.